All athletes must retire. It’s inevitable like death and taxes. At some point, the body isn’t able to run as fast, jump as high and throw as far as it once could. Today’s GladiatHer Crush Wednesday knows all too well the inevitability of retirement. 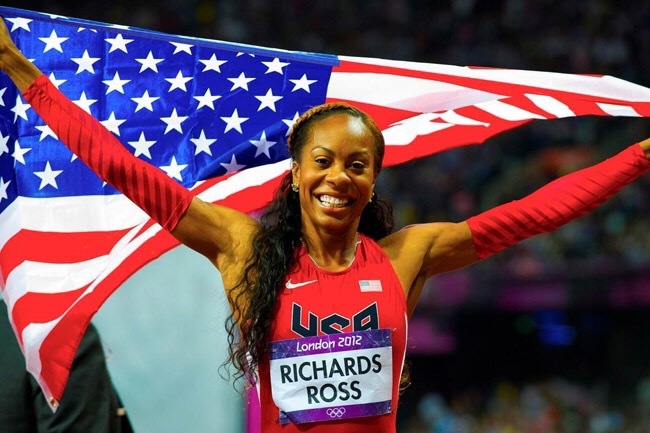 This past weekend American great Sanya Richards Ross gave us her final lap in the 400m at the US Olympic Trials. Her final lap wasn’t run while earning a gold medal in Rio like she envisioned, but we appreciate the lap and her career nonetheless. As an injured hamstring caused her to pull up on the last curve of the 400m preliminary race, the crowd in Oregon refused to let her walk to the finish line in disappointment. They gave one of America’s greatest 400m runners the standing ovation that she deserved. They thanked her for being the champion that she is.